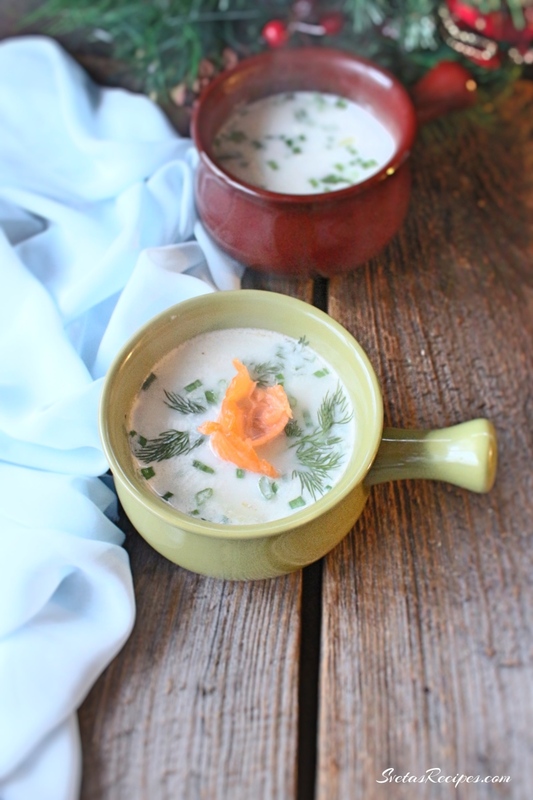 This Salmon Soup Recipe with heavy cream, rice and smoked salmon tastes very good. When you eat the salmon you have a very good feeling because it is seasoned very well. 1.) Wash, dry, peel and cube your Carrots and potatoes. Wash your rice. 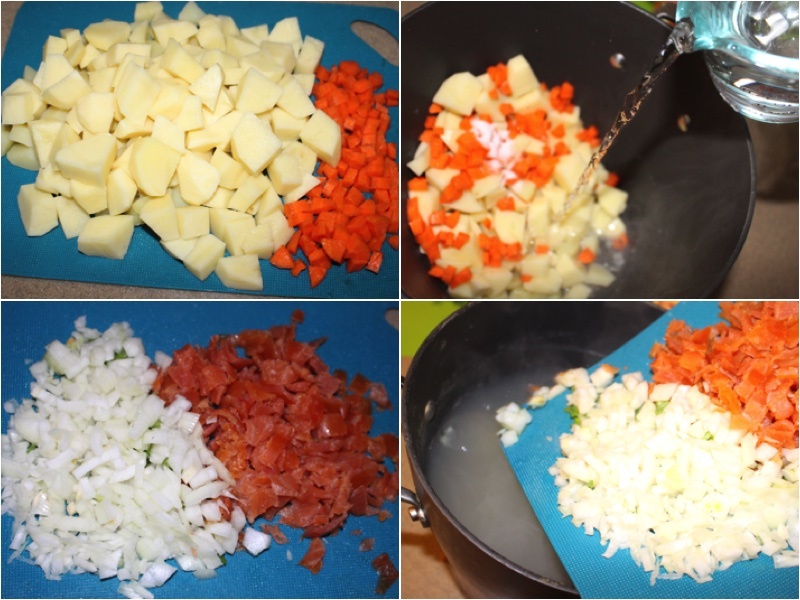 Add your rice, carrots and potatoes to a pot. Also add salt. Add water to your pot. Boil for 15 minutes on a medium temperature. Cut your onions and salmon. Also add your onions and salmon to the pot. Boil again for 15 minutes on a medium temperature. 2.) 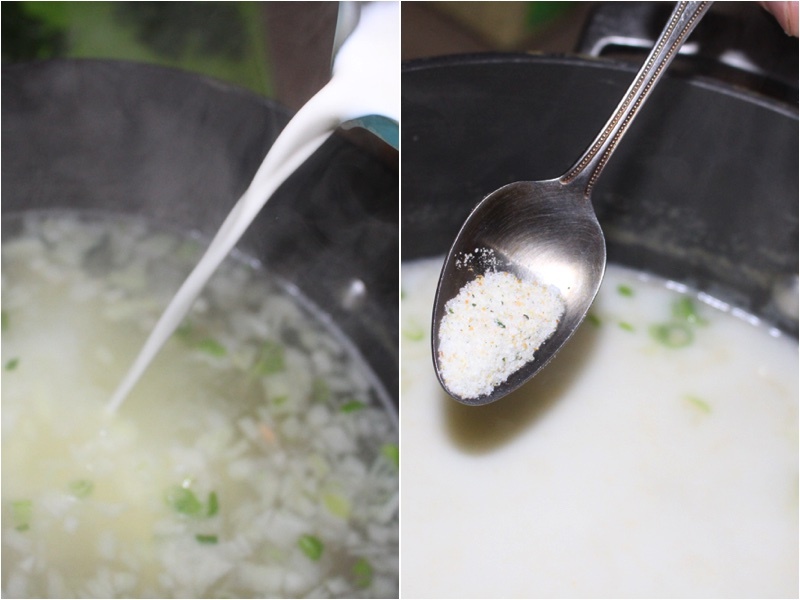 Add your heavy cream, dills and scallions. Add your seasoning and mix together well. Bring it to a boiling point and let it cool. Pour into a bowl add enjoy! Wash, dry, peel and cube your Carrots and potatoes. Wash your rice. Add your rice, carrots and potatoes to a pot. Also add salt. Add water to your pot. Boil for 15 minutes on a medium temperature. Cut your onions and salmon. 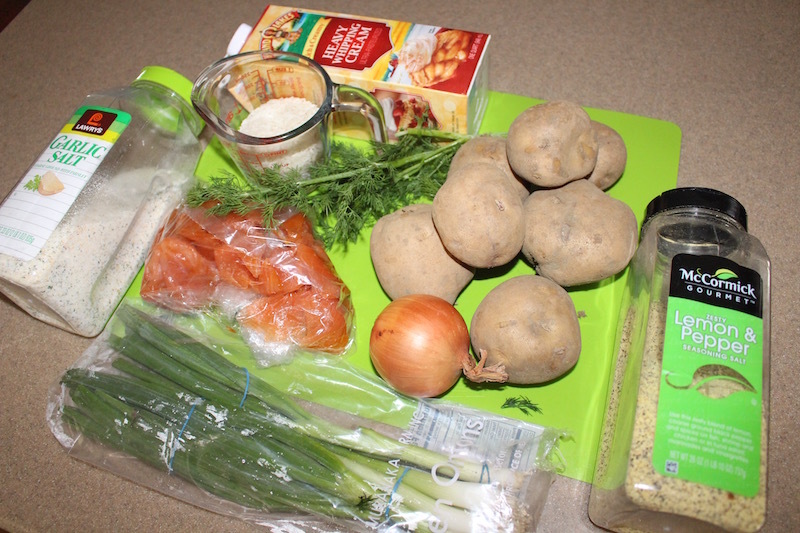 Also add your onions and salmon to the pot. Boil again for 15 minutes on a medium temperature. Add your heavy cream, dills and scallions. Add your seasoning and mix together well. Bring it to a boiling point and let it cool. Pour into a bowl add enjoy! this soup is Tha Bom!! !